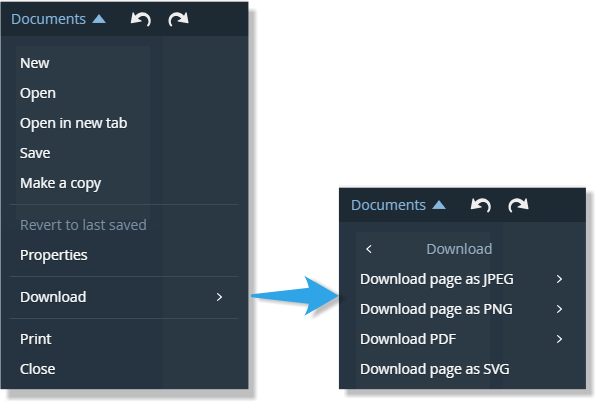 How do I download or export a document? 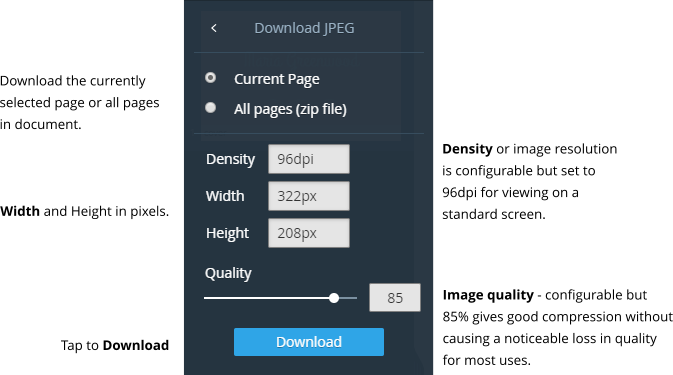 Simple, just tap on the Download option in the Documents menu. Then choose an option. 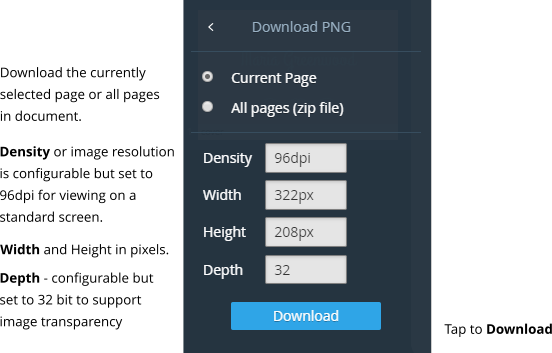 So you can download your document page as an image in the form of either a JPEG a PNG or an SVG. You can also download the document as a PDF. 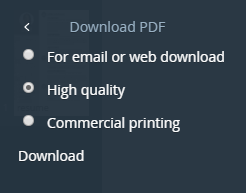 When you have chosen an option click Download and the file will download.